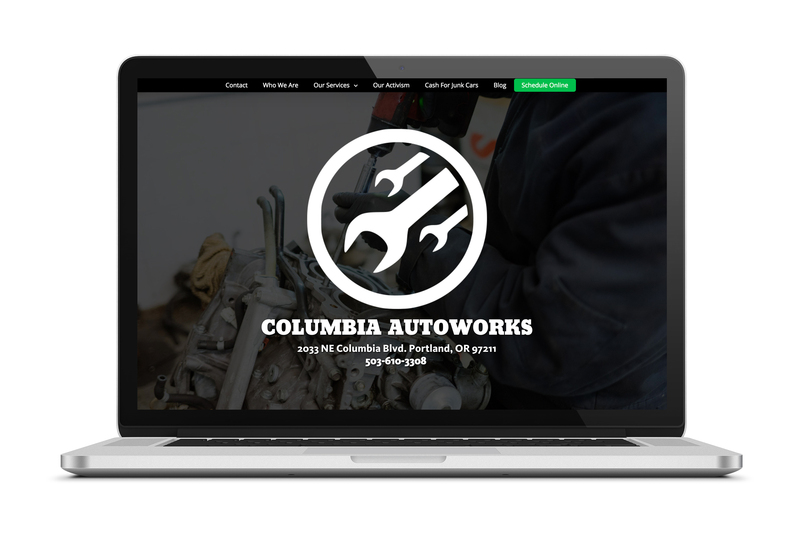 This auto repair shop had an established client base, but wanted their website to reflect their progressive, community-minded stance. We designed their new website with a clean and bold style, while also making sure visitors can easily reach out to them for services. 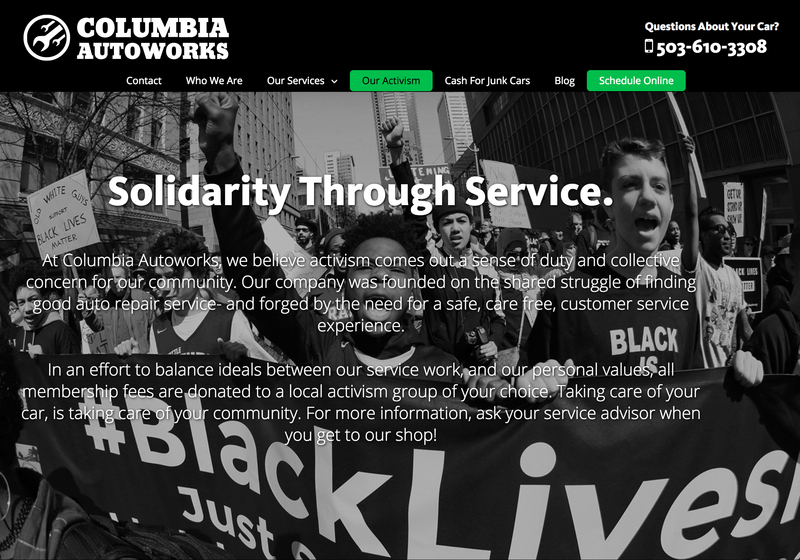 Columbia Autoworks' new website combines powerful activist imagery with a mission statement that strongly leads with their commitment to community. We also built in interactive features and colors to create a truly unique online presence that fulfills their new direction. 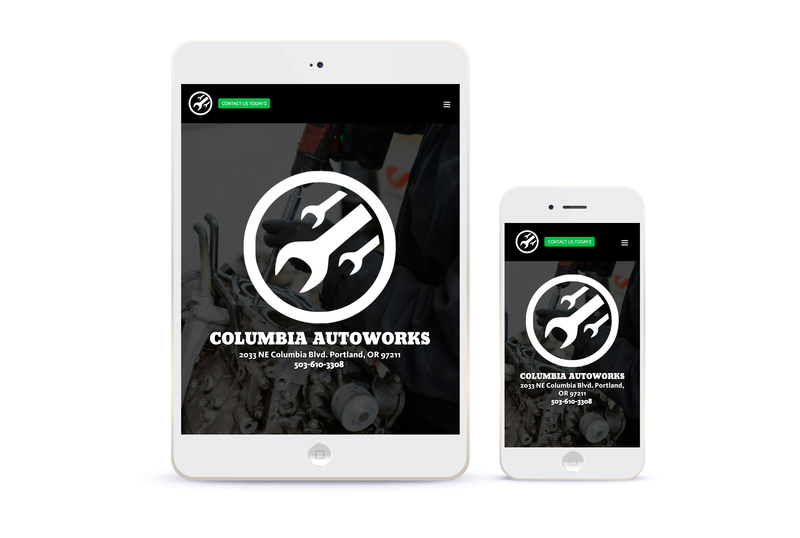 We design all of our websites with both desktop and mobile devices in mind, but a mobile-friendly website was of particular importance to Columbia Autoworks. We did rigorous testing to make sure their customers could easily find what they need, whether they're browsing from home or on-the-go. "We worked with this team extensively to build our new company website. It looks fantastic and every detail has come out, exactly like what we had imagined! Couldn't recommend this team more for web design needs."